– Entrance fees in archaeological sites. In order to book space in the sailing trip, a 50% prepayment is required and the rest of the payment must be made up until 60 days prior to sailing. For cancellations made 1 to 45 days prior to charter start date, 100% of the total charter price is due. For cancellations made 46 to 90 days prior to charter start date, 50% of the total charter price is due. For cancellations made 91 days prior to charter start date, we charge no cancellation fees. Friday 18th May: Welcome dinner at AthenStyle rooftop VIP. Meet your crew and enjoy a drink on the famous rooftop bar! 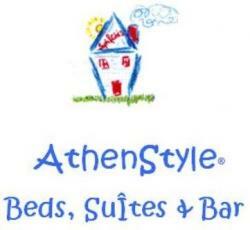 Welcome to Athens, now chill out and enjoy, a fantastic week is about to start :) book your stay at www.AthenStyle.com and email us for a free upgrade when you say you are part of the sailing crew! Sunday: Grab a coffee before leaving Perdika, and sail to a nearby bay for a swim. Today we set course to Hydra, where we expect to arrive by early afternoon. Hydra is one of the highlight destinations of our itinerary and don’t waste time from exploring the amphitheatrical built town, on a donkey or by foot! With cute stores, cozy café’s and nice restaurants, Hydra is bound to impress! Monday: Not an early start planned for today and at about 11:00 we set sail for our morning swim stop ! A short leg is planned for this day that will take us to the sheltered port of Porto-Heli. But before, we will have the chance for a swim at the turquoise waters of Hinitsa bay, where we will also be having our lunch. In the afternoon we will be entering the port and stay there for the night. Tuesday: Another day on the yacht, with an early start so we can make the most of the time when in Nafplion, where we’re heading today! A spectacular coastal town of the Peloponnese, and first capital of Greece, is an exciting destination with many things to see & do! Thursday: With more than halfway gone, we will be leaving Spetses and set course to Dokos, the uninhabited island with pristine waters and a favourite spot for all the yachties. Our destination for today is Poros, the island that is separated from mainland by a stripe of sea measuring some 400 metres at its narrowest point. Poros is one of the loveliest places of our itinerary, ideal for a stroll around the promenade, beautiful views from its clocktower and with the Temple of Poseidon for those into history.